How Many Pixels Do You Need? An anonymous commenter said, referring to our post in memory of Gordon Parks: "Who was this person??? "Never heard of him, & I've been a pro for 3 decades, lived in 11 different countries, worked in over 40 countries ...yes f-o-r-t-y)...yet I never had the pleasure of knowing Mr. Parks's life & works. "Any links to his works, or any links to info about him please?" Well, you're in for a nice discovery. He was initially famous as the first black photographer on the staff of LIFE magazine, and later for making the movie "Shaft." But there's a lot more to him than that—after all, it's not often that the death of a photographer gets a full segment on the national evening news broadcasts. Gordon Parks was a remarkable self-made man and an artist who was successful in several media, photography first among them. 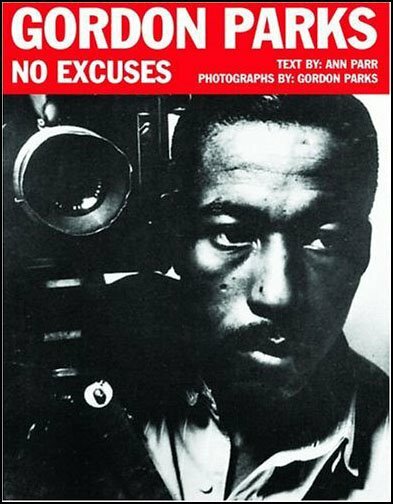 "Born November 30, 1912, in Fort Scott, Kansas, Gordon Parks overcame the difficulties of poverty, racism, and being poorly educated to achieve success as a photographer, writer, film director, and composer. His first professional endeavors were as a freelance, self-taught fashion photographer. In 1941 his photographs of the ghettos of Chicago earned him a Julius Rosenwald fellowship. This was followed by an apprenticeship with Roy Stryker in the Farm Security Administration in 1942. In 1948 Parks was hired as a LIFE magazine photographer, a position he held for over twenty years. "Since 1947 Parks has also published numerous works of non-fiction, fiction, and poetry. His second autobiographical volume, To Smile in Autumn, covers the years from 1943 to 1979. A third autobiographical volume, Voices in the Mirror, was published in 1990." PDNOnline in association with Kodak Professional have a nice presentation of some of his work in the "Legends Online" series. His most recent book is Half Past Autumn: A Retrospective. There's also a nice book for little kids called No Excuses (that was his motto, taught to him by this mother). I do have to say that for pure photography, there are several black photographers and several "photographers of blackness" I like better, Roy de Carava foremost among both. But Parks was the Renaissance man. I only heard Mr. Parks talk once, and saw him at a gallery opening, without any chance to talk meaningfully to him directly. But I would say that, in person, the overriding impression he gave was of dignity, and of kindness; hard to say which more than the other. Never heard of him? I guess if you missed 1960-80. With all the hooplah about black history this was a guy who genuinely made that history. And made American history. A living legend. Certainly a great photographer and someone who justly earned his fame the hard way. It would be interesting to compare his talent today with someone like Britney Spears et al. I only deleted the second comment because it was a duplicate of the first one. Not censoring! Eamonn McCabe wrote a piece on Parks for the Guardian. Worth reading if only to illustrate the reach of his influence. I heard him speak once and was struck by the elegance of his confidence and was drawn in by the hint of multitudes that he likely contained...he seemed colourless despite the dragons he attempted to slay.